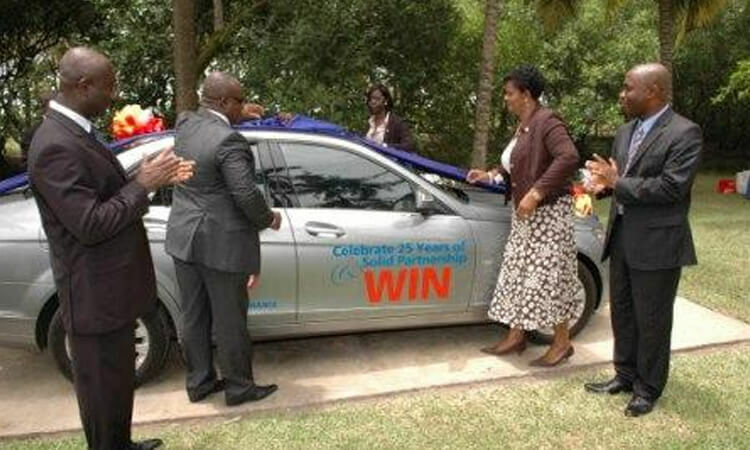 Moving away from an industry trend which was characterized by many promotions run by competitor where phones and phone credits have been the highest prizes, Star Assurance has as the ultimate prize, a plush Mercedes Benz C Class Compressor 180. Clients could win instant prizes ranging from a laptop, mobile phones and fridges to branded items such as T Shirts, mugs, pens etc. All it takes to qualify is to buy a Travel Policy or a Comprehensive Motor Insurance Policy from now till 10th September 2010. Existing clients whose policies expire within this period would be entered in the grand draw by renewing their policies. Existing clients whose policies do not expire within this period would be entered in the draw by patronizing any policy for example, a fire policy, comprehensive Homeowners’ Policy etc. The big question is who wins the car? Just get on board because the Mercedes C Class could be yours. This would be determined on the 10th of September when officials of Ghana Gaming Commission join us at the Accra International Conference Centre to draw in what will be a very fair draw.